Now available in North America, Worbla’s Deco Art is the Worbla branded option for moldable plastic pellets. Heat these pellets to 65°C (150°F) with a heat gun, oven, or hot water to create a plastic putty with a low thermal transfer that you can shape by hand, push into molds, and sculpt with tools! 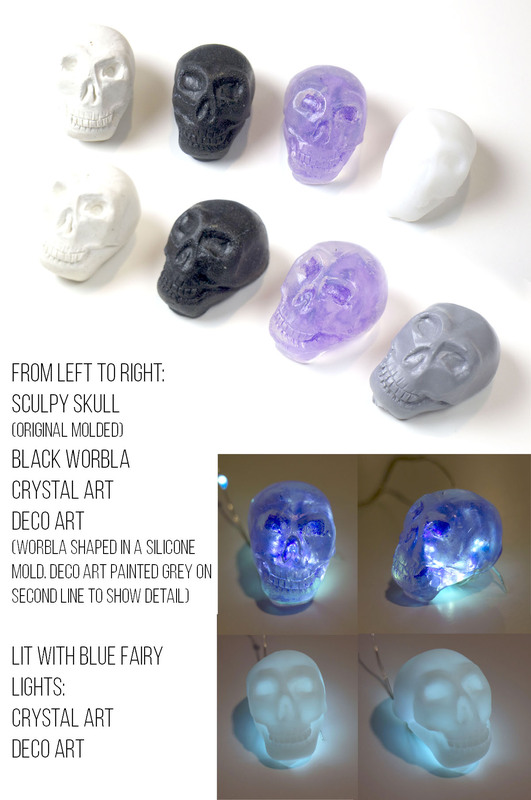 It’s an excellent option for sculpting things like skulls, filling in gaps in Worbla armor, making multiple copies of something without resin casting, building up dimension quickly and adding counterweight to things like pommels on swords. Top left: Deco Art details by Vera Ikonia. 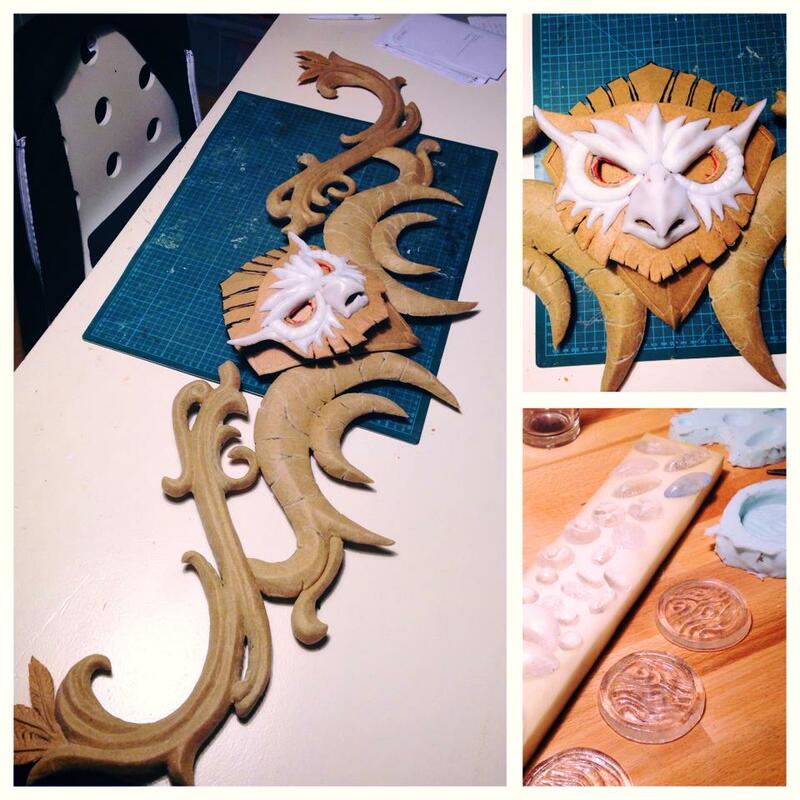 Bottom and right: Deco Art on Worbla by Lightning Cosplay. Deco Art comes in white pellets that when heated turn clear. 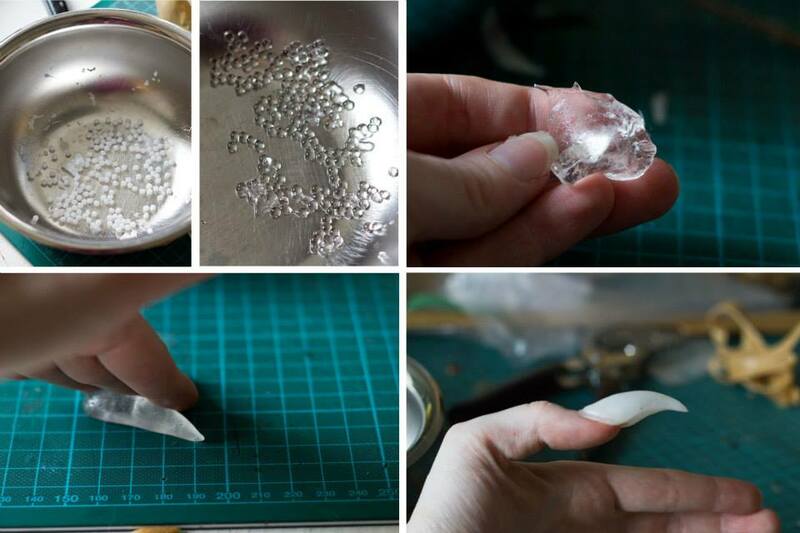 You can treat these clear pellets like a plastic putty and sculpting material, either shaping it by hand or with tools, or applying it directly to the surface you wish to build up. Once cool or ‘set’ the plastic turns opaque white. Deco Art stays fluid while warm, so it is important to either cool a piece quickly in cool water, or to keep it in a mold until the plastic is opaque again. Otherwise gravity will ‘pull’ your sculpture out of shape! 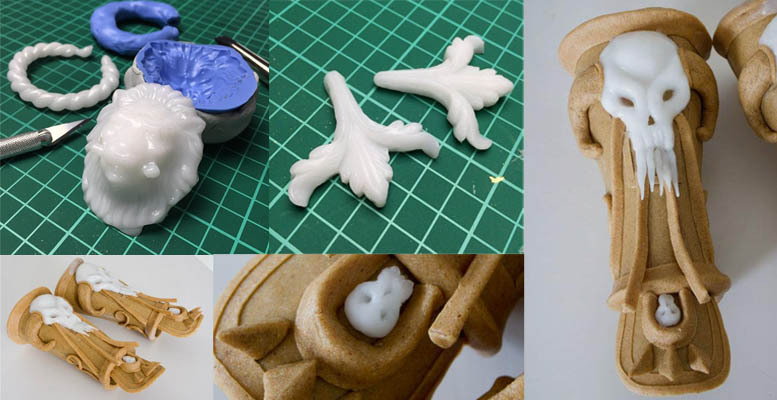 Deco Art, like all Worbla Products, can be reheated endlessly and scraps can always be reused, so mistakes are easy to correct and makes this material very friendly for those who want to begin sculpting things such as teeth or horns. 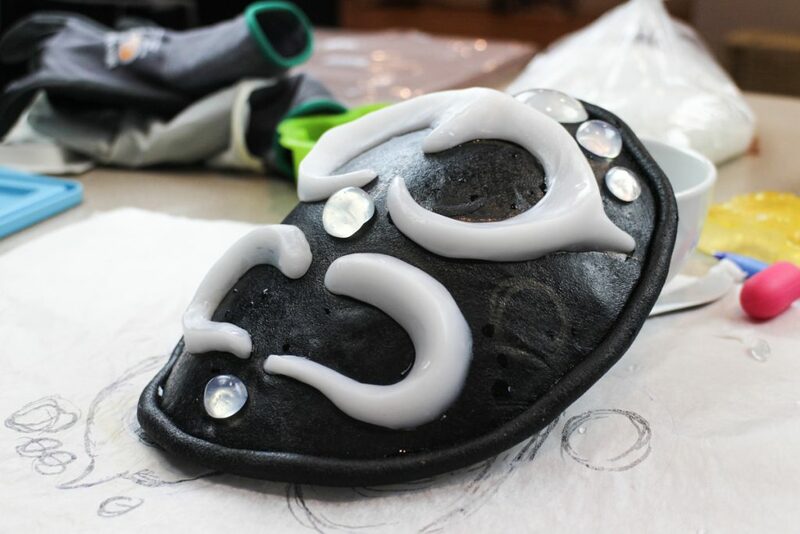 The surface of Deco Art is much smoother than other Worbla Products, making it excellent for detail work where priming is either not an option due to time, or difficult due to space. Deco Art can be painted with acrylics or spray paint, and the pellets can also be dyed in advanced with polyester dyes such as iDye Poly. Deco Art is excellent for building up dimension quickly, allowing details in armor to be made quicker and smoother than with the traditional Worbla Scrap/Noodle method. 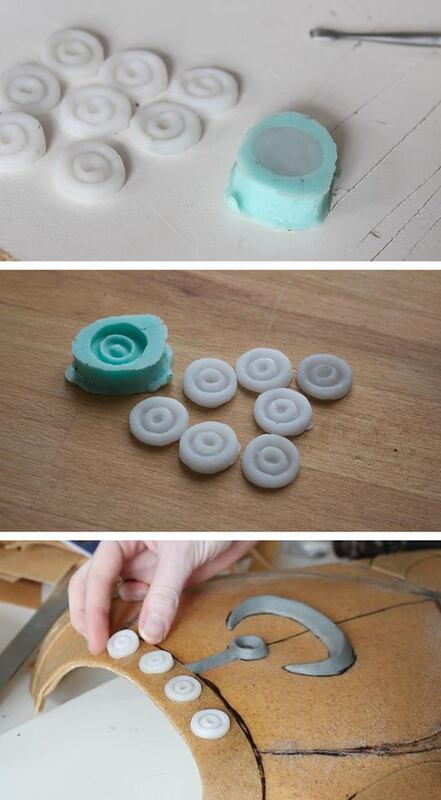 A mold used to make many quick copies of a button shape by Lightning Cosplay. This would take much longer with resin, so Deco Art allows smooth casting without worrying about fumes or time. 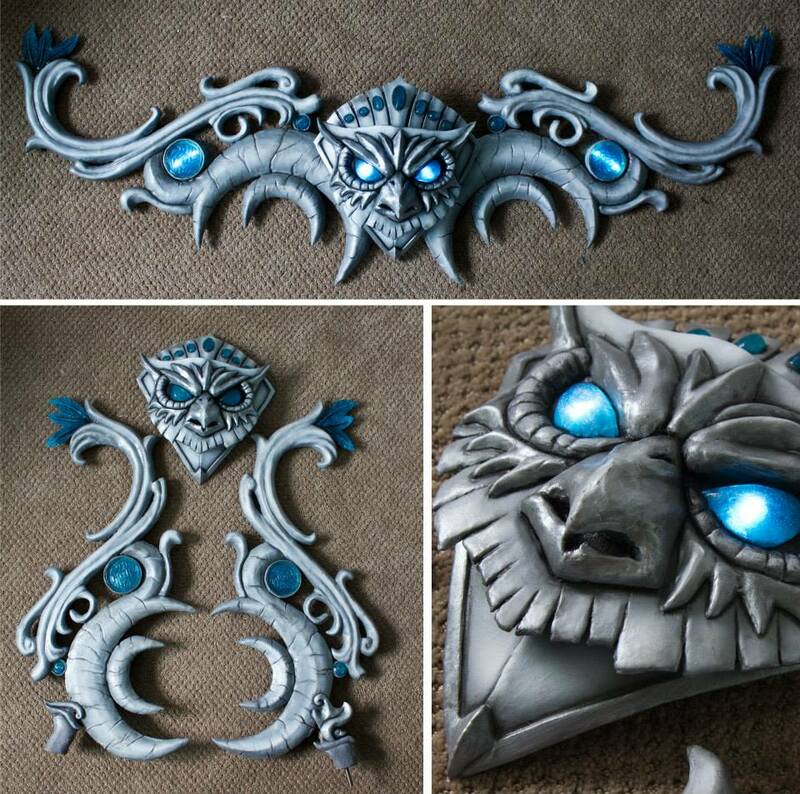 The Owl for Tyrande Whisperwind’s bow is done in Deco Art, while the body is made with Worbla’s Finest Art. By Lightning Cosplay. The finished bow, painted. By Lightning Cosplay. Deco Art can also be used for very diffused lighting effects, when a more opaque look is wanted. And here’s a video of Deco Art being used to add a dimensional skull to a shoulder pauldron by Lightning Cosplay.